This is Francis J. Skidmore. I honestly wish that I had known him. In researching this memorial, I cried many times, and I didn't even know the man. From everything that I have learned about Frank, I feel certain that I would have enjoyed his company. Nobody speaks of him with anything but admiration. He knew the real meaning of charity. He was a Eucharistic Minister and brought Communion to a homebound parishioner for 20 years. 20 years. That takes real dedication. Some people claim to be charitable, but Frank was the definition of charity. He gave of himself and his time. He worked tirelessly to raise money for his church's school and to bring comfort and aid to underprivileged families in Central Appalachia. He was such a giving soul, in fact, that his work was recognized by his local Rotary Club. What we had in Francis J. Skidmore was a man dedicated to his fellow man. But there is more to his nature than that. Frank played Santa many times, bringing joy to the lives of children. It isn't hard to imagine him bringing that character to life, right down to the twinkle in the eye. I imagine that his jovial good nature would have made him a wonderful grandfather. I have no doubt whatsoever that he was an amazing father. A "teddy bear", and I'm sure a great "Daddy." He must have had a terrific sense of humor, too. He urged his pastor to give break-dancing a try. What a guy! He had a joyful spirit and a charitable nature. 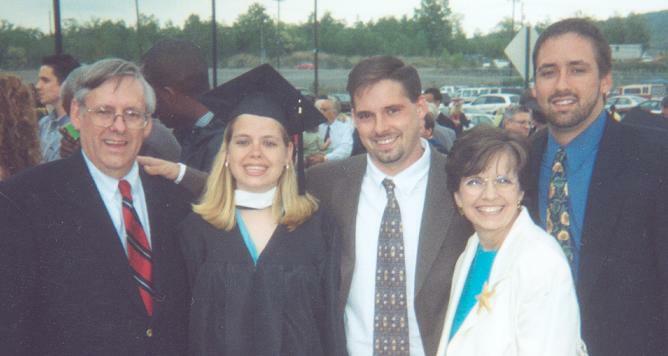 He was a loving husband to his wife, Katie, and a devoted father to his three children, F.J., Patrick, and Melissa. He treasured time with his family and didn't miss the moments in his children's lives. He grew from doting and guiding parent to friend as his children matured into adulthood. No doubt, for him, this was the best reward for a job well-done. There was real love there, you can tell from the faces. Frank seems to be a man who lived his life to the fullest. A life of good times and family vacations at the beach. A man who defined charity and gladly did the work of God. I can imagine the pain his family felt at the loss of such a wonderful man. No doubt they struggle to live up to his legacy when, in fact, all he would probably wish for them is a lifetime of happiness free of want and hurt. A man so loving, so generous, would want the rest of us to live on. Live on, but never forget. Never forget. Frank, I hope you are enjoying Cheeseburgers in Paradise. 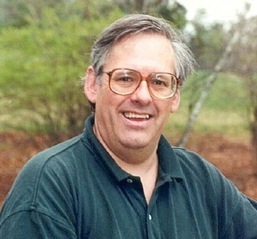 Francis J. Skidmore was a victim of the September 11th attacks. He died on the 85th floor of Two World Trade Center when terrorists piloted United Airlines Flight 175 into the building between floors 78 and 84. These men may have thought they were on a mission from God. Francis J. Skidmore really was. I remember Francis J. Skidmore. If you remember him too, please feel free to leave your thoughts in the comments.